(VEN) - Designers who have traditionally used Microchip’s PIC microcontrollers (MCUs) and developed with the MPLAB ecosystem can now easily evaluate and incorporate AVR MCUs into their applications. 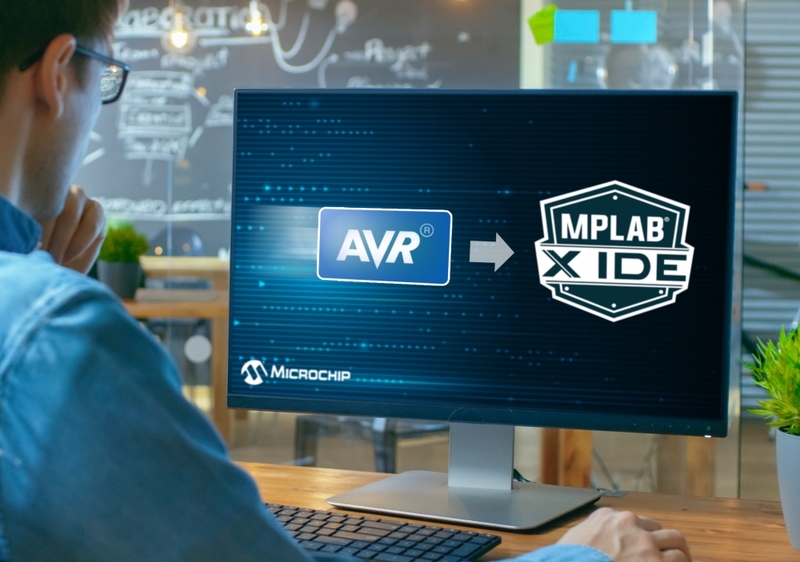 The majority of AVR MCUs are now beta supported with the release of MPLAB X Integrated Development Environment (IDE) version 5.05 available from Microchip Technology Inc.
Support for additional AVR MCUs and enhancements will be added in future MPLAB versions. AVR support will continue to be added to Atmel Studio 7 and Atmel START for current and future AVR devices. MPLAB X IDE version 5.05 provides a unified development experience that is both cross-platform and scalable with compatibility on Windows, MacOS and Linux operating systems, allowing designers to develop with AVR MCUs on their hardware system of choice. The tool chain has been enhanced with support for Microchip’s code configuration tool, MPLAB Code Configurator (MCC), making it easy for developers to configure software components and device settings such as clocks, peripherals and pin layout with the tools’ menu-driven interface. MCC can also generate code for specific development boards, such as Microchip’s Curiosity ATMega4809 Nano (DM320115) development board and existing AVR Xplained development boards. More compiler choices and debugger/programmer options are also available when compiling and programming AVR MCUs using MPLAB X IDE 5.05. Compiler choices include the AVR MCU GNU Compiler Collection (GCC) or the MPLAB XC8 C Compiler, providing developers additional advanced software optimisation techniques to reduce code size. Designers can also accelerate debugging and programming using MPLAB PICkit™ 4 programmer/debugger tool or the newly released MPLAB Snap programmer/debugger tool. “Microchip continues to explore ways to provide more offerings and improve the development experience for our customers,” said Steve Drehobl, vice president of Microchip’s 8-bit MCU business unit. “With the addition of the AVR MCUs to the MPLAB ecosystem, designers who are accustomed to MPLAB X IDE now have more MCU options to choose from. Traditional AVR MCU programmers can also stay with Atmel Studio 7, as we are continuing to offer new device support, add enhancements and implement bug fixes as needed”. MPLAB X IDE version 5.05, MPLAB XC8 C Compiler and AVR MCU GCC are available for free on Microchip’s website. The MPLAB PICkit 4 (PG164140) development tool, the MPLAB Snap (PG164100) and the ATMEGA4809 Curiosity Nano board (DM320115) are available.